VBS 2019 has been scheduled for June 9-14, 2019 for ages 2 - adult. SAVE THE DATE. More info to follow. 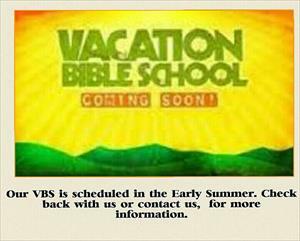 Check out our Facebook Page to view a Photo Album of our last Vacation Bible School Fun.